Rumors are swirling around the internet that Rob may be in talks to star in Spiderman 4...? Question of the days is this: Do you think that's a good fit? Can you see Rob in that tight red suit?? 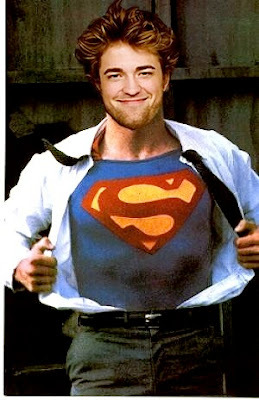 If not, what superhero could you see Rob portraying?? I just can't see it, to be honest. Rob isn't Toby. I...can't see him in anything like that...Twilight's kind-of ruined my image of him. Its not the same. Hes too...dorky! :P But we love him anyways. He kind of looks like he could play wolverine! Maybe its the hair and the unshaven, dirty look he has going for him.